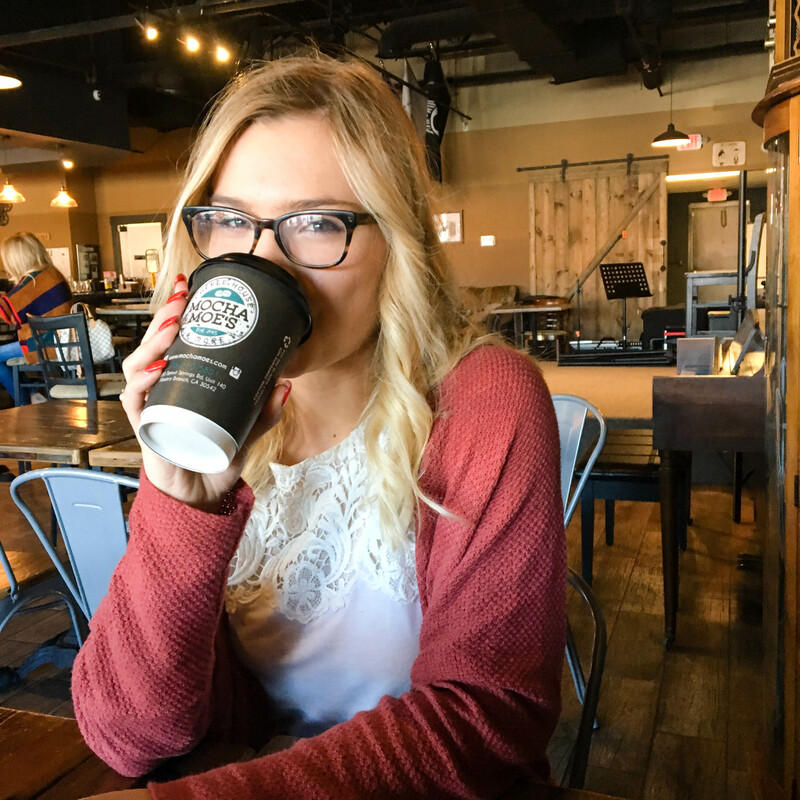 It is a well-established fact of this blog that I love coffee shops. I mean, espresso is literally in the title, after all. I love the ambiance, I love the scenery, and most importantly, I love the drinks. However, frequenting coffee shops can get to be rather expensive after a while, especially if you’ve got a taste for specialty drinks. And sometimes you just want to stay in your slippers all day, you know? (I’ve said before that I’m opposed to staying in pajamas all day for productivity reasons, but slippers are the one exception.) Or, in my current case, you’re all but trapped in your apartment because there’s a full foot of snow outside. 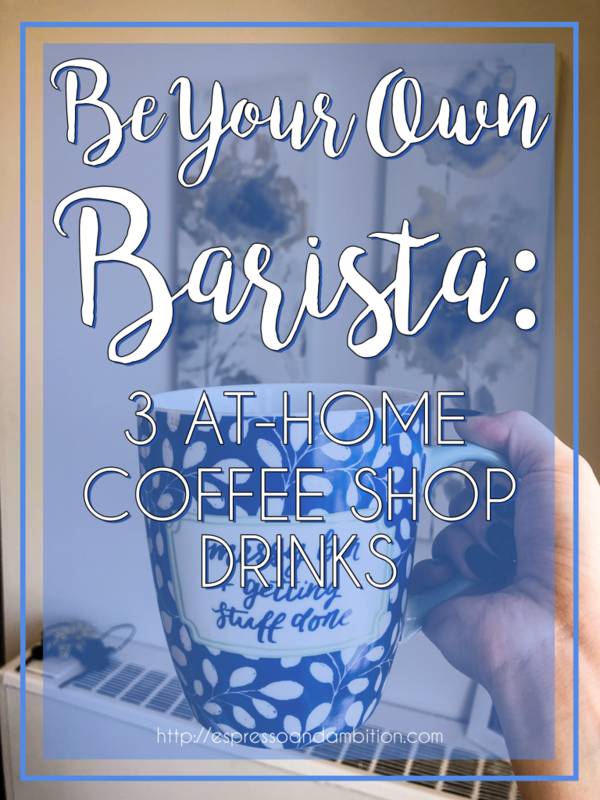 So today I’m sharing three super simple recipes for coffee drinks that, while they aren’t necessarily top-caliber quality, will fully quench your need for caffeine without the coffee shop price tag, shoe requirements, or trek through the snow. If you’ve got a Nespresso or an actual espresso machine, you’re in an even better place for at home coffeemaking – but all of these recipes only require a basic coffee machine. Make a standard cup of coffee – dark roast is going to be best in order to most closely mimic an espresso-type drink. Steam 1 cup of milk. You can do this by putting the milk in a standard pot on the stove, stirring or whisking it constantly to make sure it heats up evenly throughout. Once the milk is steaming (but not boiling), transfer it to the coffee cup. Mix in at least three heaping spoonfuls of hot chocolate mix – and then you’re done! Bring 1 cup of water to a boil. Put an earl grey teabag in and let it steep for 5-ish minutes. While the tea is steeping, heat up 1 cup of milk. Personally, I love using almond milk for London fogs, but it’s entirely up to you. If you whisk it while it’s heating, you’ll get just a little bit of foam on the top. After the tea has steeped, add a few drops of vanilla extract and a little sugar, depending on how sweet you want your drink. Pour the steamed milk on top, and boom – London fog. This one requires just a touch more preparation. Make your coffee the night before and stick it in the fridge overnight to get nice and ~chilled~. Mix in a cup of cold milk, a couple of drops of vanilla extract, sugar to taste, and a few ice cubes. You’re golden. A second option here is to just buy flavored syrup from the grocery store, which simplifies the process even more! Happy (cheap and simple) caffeinating!